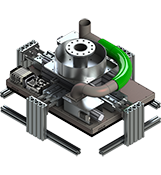 Requiring low maintenance, Joulin vacuum grippers are simple, durable and easy to install. Thanks to our experience in custom grippers, the grippers are made according to your requirements for your specific applications. 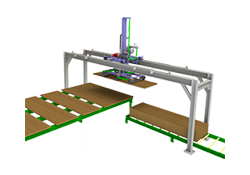 Simple and durable design, Joulin standard gantry robots are easy to install and require low maintenance. 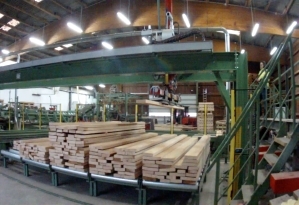 Our experience in custom stacking / destacking systems allows us to offer you tailored solutions to fit your needs. 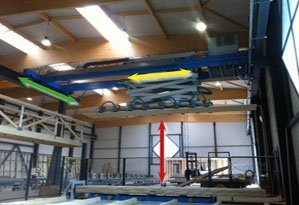 This gantry robot allows to infeed a cnc router and outfeed the woods to store them quickly in 12 positions. 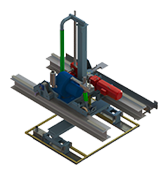 This gripper designed with zoning release wrapped products according to the desired palletization schemes. 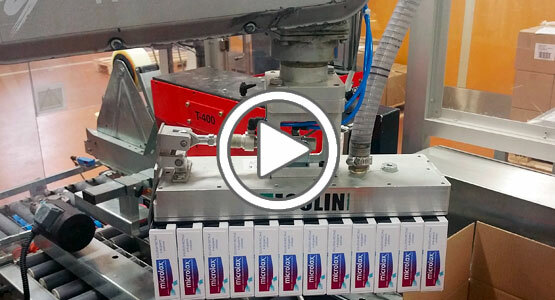 These grippers with side bolster system have been integrated into an existing machine to replace suction cups. 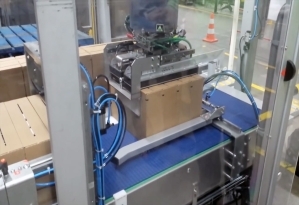 This stacker, controlled by radio control or automatically, measures boards, stacks them at different locations according to their size and gives an accurate cubing of the packages made. 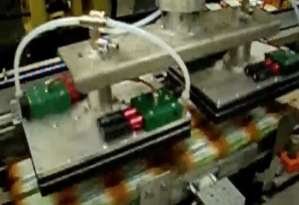 Replacement of suction cups by a single gripper able to handle all product formats without tool change. 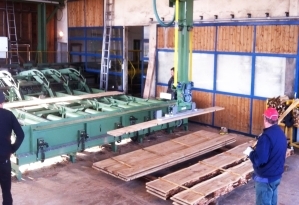 The downtime of production was reduced by 20% thanks to this solution. 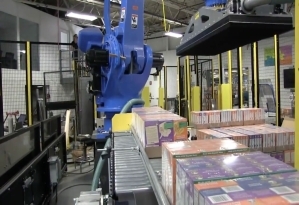 This Stacker controlled by radio, allowsthe operator to quickly and easily remove and sort boards avoiding personal health and injury risks. 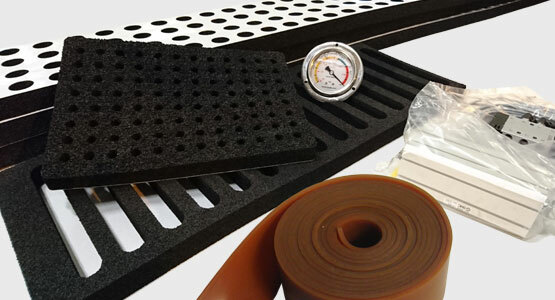 Discover how Joulin, inventor of the foam vacuum gripper, allows you to optimize your production through these examples. all after-sales service ... with Joulin's quality! 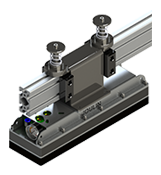 For each gantry robot or vacuum gripper we stock all the spare parts and foams you need to maintain it.